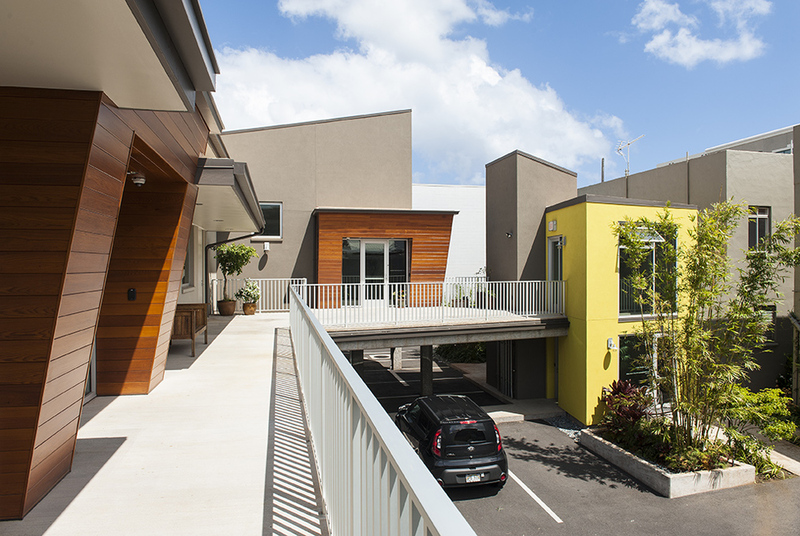 3470 Waialae — Geoffrey Lewis Architect, Inc.
3470 Waialae was an exciting project for our firm in that this was our first urban infill on the very important and emerging Waialae Avenue. 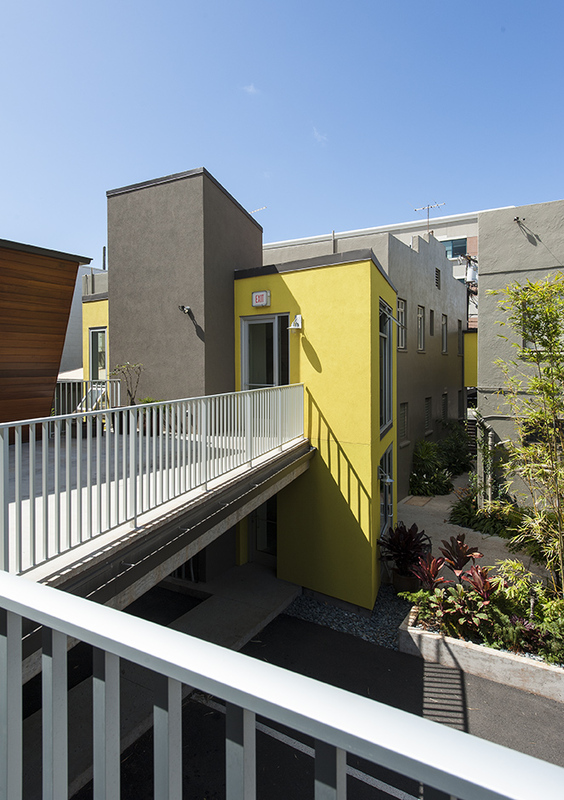 The potential for this urban strip was very inspirational for a design exploration. Being that the new building would sit behind the two more mundane 1946 street front buildings, we thought it would be interesting for the new structure to peep through the old buildings. 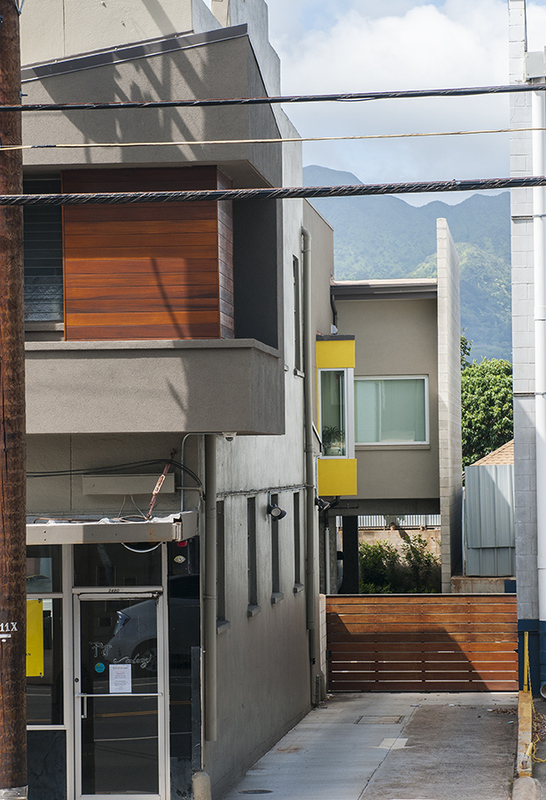 Elements of the contemporary objects and shapes which exist on the new building present themselves on the Waialae street frontage in an effort to create interest for what exists behind. Cutting through the old 3470 building provided well needed vehicular access to the rear of the property. It was important that the new building did not over crowd the lot but instead provide a modest scale coupled with landscaping and open areas. The new covered parking at grade provided a plinth for the new building to sit on with a two story vertical circulation tower which provides a connection to grade below. 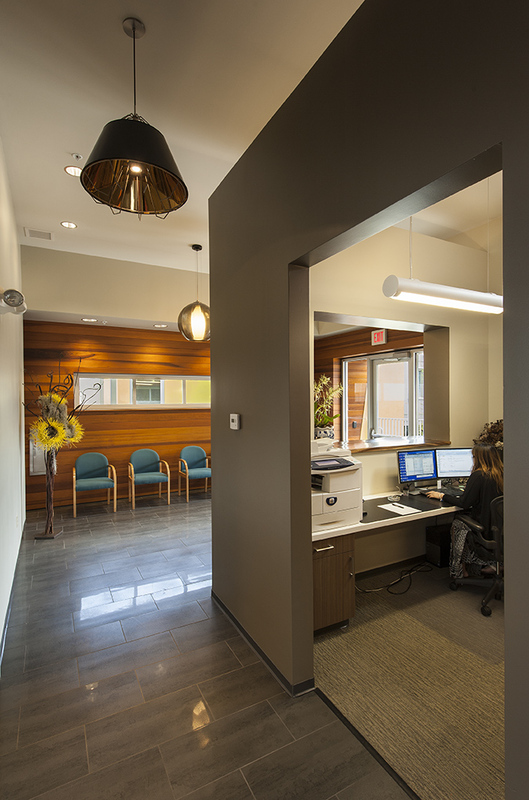 Both office entry objects are clad with cedar T&G to define each entry while contrasting the simple large form of the main building. 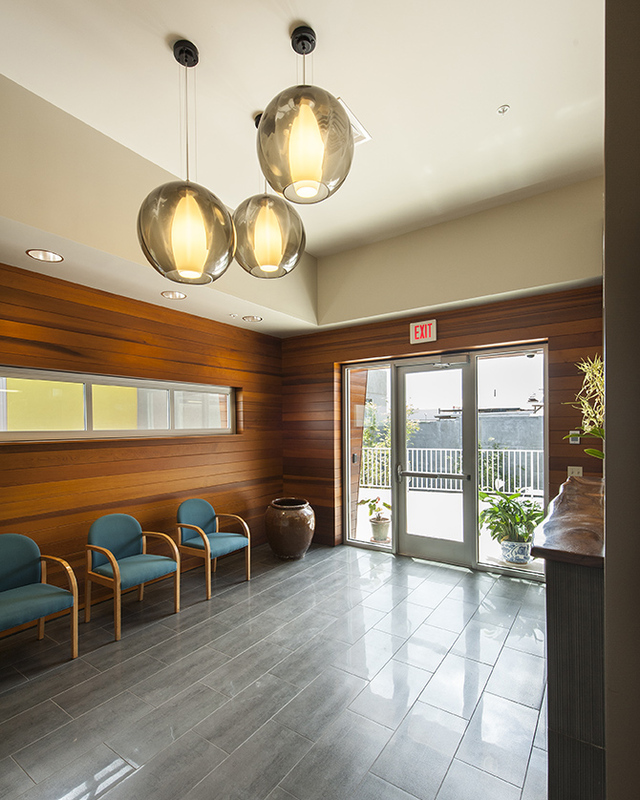 Although the cedar boxes appear to be façade treatments, when one enters the respective offices, they realize these cedar faces continue into the interior space creating a 3D lobby. The overall massing for the project consists of a grouping of varying sized forms in an effort to be playful with the overall gestalt but also appropriate in human scale. When one walks about the new structure, the every changing juxtaposition of forms creates interesting figure ground profiles and shapes. 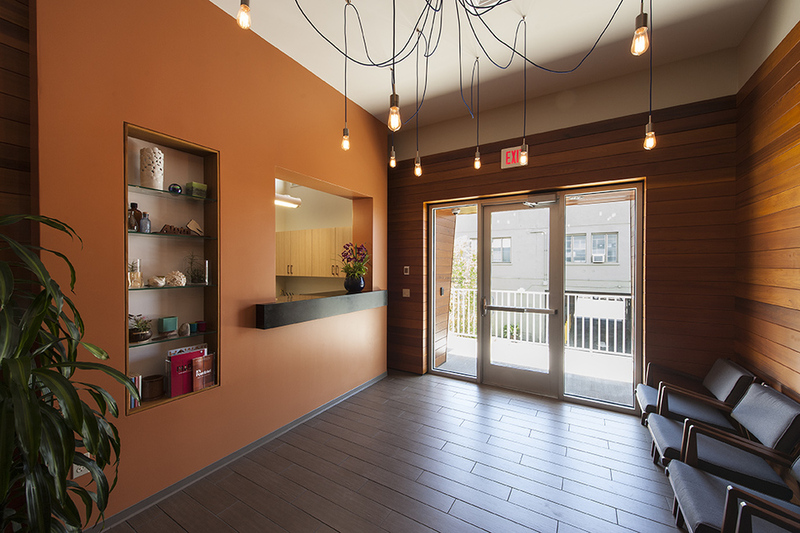 We utilized material selections to both define certain elements and establish hierarchy within the complex. 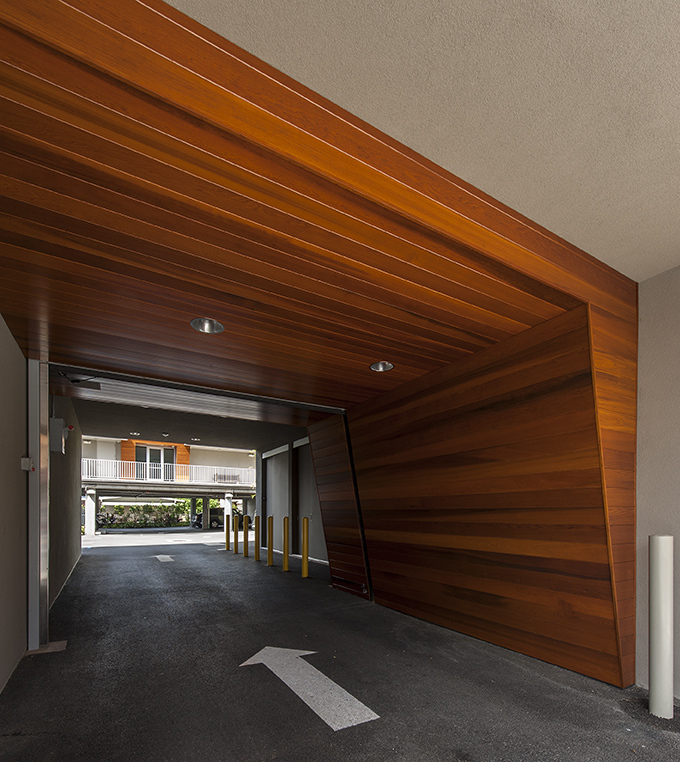 We also wanted to bring nature into the complex with the cedar siding and landscaping. These biophelic principals of nature integration make the spaces both interior and exterior very healthy work environments.